Choosing the right software for the kind of web design you want to build can be a little bewildering when you are not an expert. But once you know which software is most suitable for building your website, even a non-expert like you will find the job fairly easy. Whatever web design software you may have had to create your site (i.e. Dreamweaver, Joomla, WordPress, etc.) you need to consider what type of website you are trying to build and the cost of the creative website design project. WordPress web design continues to rise in popularity among many blog sites because it is easy to install, easily tailored to fit personal preference, and efficient in content management without the need to know HTML. Let’s view some of the “plus factors” WordPress holds to get your site up and running in no time. Site visitors can leave comments after each blog posts, subscribe to RSS feeds, newsletters and connect to social media through addable social media icons on your creative website design page. Because WordPress web design is so widely appealing to the general public, forums were created to support users of the creative website design software and provide excellent resources, technical support, and plug-ins and web design templates. One of the best features of WordPress web design is its extendible functionality through creative website design plug-ins available for download. You can build your site to incorporate in your web design search engine optimization, social media interactions, site maps, contact forms etc. WordPress web design is well equipped with SEO tools to generate lots of traffic to the site. 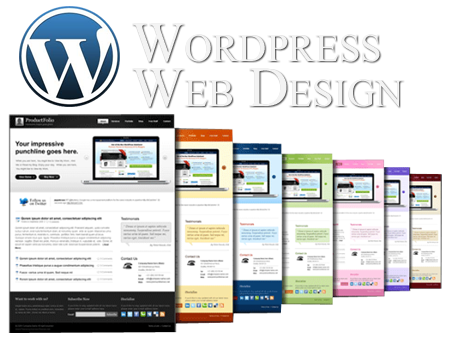 WordPress web design is a platform which is competent in holding multiple users to maintain the site. Assigning each with different username and password to access the site and performing their distinctive roles as an administrator, an editor or a subscriber. Through this creative website design process the site’s contents are being updated constantly from any location at any time. It is good to know that WordPress web design is not limited only for building blogging websites but you can create regular websites as well. Say for instance you have a design in Dreamweaver software or some other designing software like Photoshop; you can make use of that design by creating it as a static home page template in yourt WordPress website. This way you can craft unlimited web design page options and just apply it at your discretion. You may do all your creative website design page maintenance using the administration panel. When building your next blog site think of the creative website design WordPress has to offer. You’ll definitely save more money, time and effort customizing web design and maintaining your site with it.